FAYETTEVILLE, Ark. 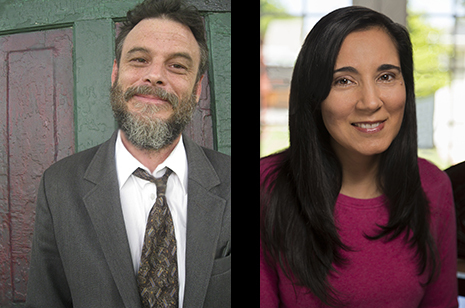 – The University of Arkansas Press has announced the winners and finalists for the 2014 Miller Williams Arkansas Poetry Prize. For the first time since the $5,000 prize was started in 2010 there are two co-winners, along with two finalists. Steve Scafidi, a cabinetmaker from Summit Point, W.V., and the author of two books of poetry, was selected as a co-winner for his book To the Bramble and the Briar, a book of poems about Abraham Lincoln. Vandana Khanna was also selected as a co-winner. Khanna is originally from New Delhi and is currently an instructor at the University of Southern California. Her winning book, Afternoon Masala, focuses on the flash and spectacle of Bollywood films and will be her second book of poetry. Scafidi and Khanna will equally share the $5,000 prize. Finalists for 2014 are Andrew McFadyen-Ketchum and Katherine Young. McFadyen-Ketchum is a lecturer at Metropolitan State University of Denver and is the editor of Apocalypse Now: Poems and Prose from the End of Days. His winning book, Ghost Gear, chronicles his coming of age in a working class neighborhood in Nashville, Tenn.
Finalist Katherine Young is from Arlington, Va., and is a lecturer at the University of Maryland at College Park. She’s the author of two chapbooks of poetry. Her winning book, Day of the Border Guards, is set in Russia and the countries of the former Soviet Union and explores both Russian and North American poetic traditions. The two winning and two finalist books will be published in the spring of 2014 by the University of Arkansas Press. The Miller Williams Arkansas Poetry Prize is named in honor of American poet Miller Williams, who was cofounder and first director of the University of Arkansas Press. One winner and up to three finalists are chosen for publication annually, the winner receiving the $5,000 prize in addition to publication. The series is edited by Enid Shomer, author of seven books of poetry and fiction, including, most recently, the novel The Twelve Rooms of the Nile. The University of Arkansas Press was founded in 1980 as the book publishing division of the University of Arkansas. A member of the Association of American University Presses, its central and continuing mission is the publication of books that serve both the broader academic community and Arkansas and the region.